ALLEGRA BOVERMAN/Staff photo. Gloucester Daily Times. 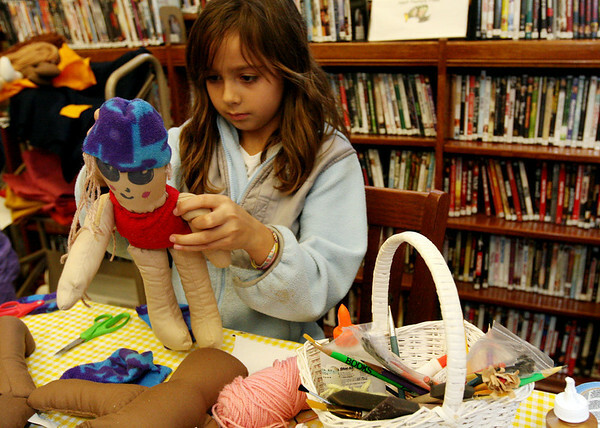 Manchester: Izzy Eliassen, 9, was making bright fleece clothing for a doll during the Manchester Public Library's annual Gift Making and Wrapping workshop held on Thursday afternoon. There were more than 30 children busy making a variety of gifts - from calendars to beaded jewelry and picture frames and more. Then they could wrap them.